So everyone will have seen the hype surrounding Benefit's £10m #OutOfThisWorld launch of their new BADgal BANG! mascara across the web and rave reviews have been cropping up everywhere. I however still wasn't convinced. Like the good blogger (lol) I am, I really wanted to make my own mind up about the mascara, so put it to the 36 hour test. 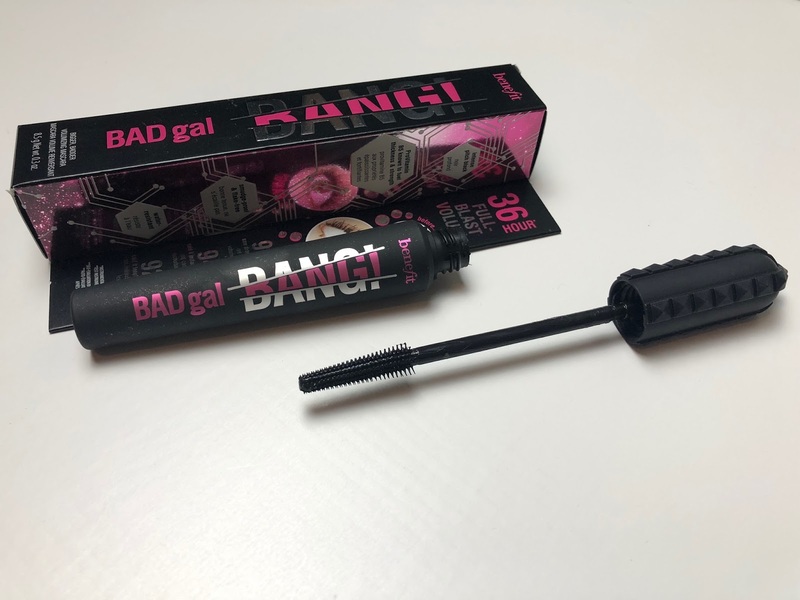 The press release claims like many brands, that Benefit Cosmetics' new mascara* lasts hours - 36 hours to be precise; is water resistant, smudge-proof and flake free. But like many brands that claim their product does everything, it usually falls short of one or two claims. I've always been a HUGE fan of Benefit Cosmetics, with their makeup first getting me interested in beauty. It was forever my dream to work there and being part of their Friends with Benefits gang is a complete and utter privilege, so it pains me to say... I wasn't overly amazed by their mascara (Sorry!!! Please don't take us off the PR list!!). I've lived my teen and adult life using nothing but their They're Real and Rollerlash magic wands, both giving the most amazing results of fuller, thicker, longer lashes. While BADgal BANG! promises these results too ('BIGGER' and 'BADDER'), the results instead remind me of my prepubescent days wearing an old crusty mascara from Claires Accessories. The 'spider's leg' look is one that seems to be recreated by this mascara and it really annoys me that this is the case! I had so much hope as Benefit seemed to do no wrong in my eyes when it's come to their launches in the last 5 years. The result? Longer, thicker lashes - but not in the way that I hoped. My lashes were clumped together, despite my efforts to separate them and though they were undeniably longer and lifted, they just looked a bit spidery. You might like this look, but I wasn't too keen. I'm hoping that this effect is just the result of the formula being so fresh as I've always found that older mascaras tend to be less clumpy when there's less product in the tube. The issue I think, lies in the fact the suction bit doesn't quite remove enough of the product from the wand, meaning that applying the mascara is messy. It went a bit clumpy, went all over my eyelid and my lashes were thickly coated in product rather than applying a thin even coat on each of the lashes, root to tip, corner to corner. Though many have said this longer, thicker look is 'incredible' and 'amazing', it just doesn't create the natural lash look we all desire. 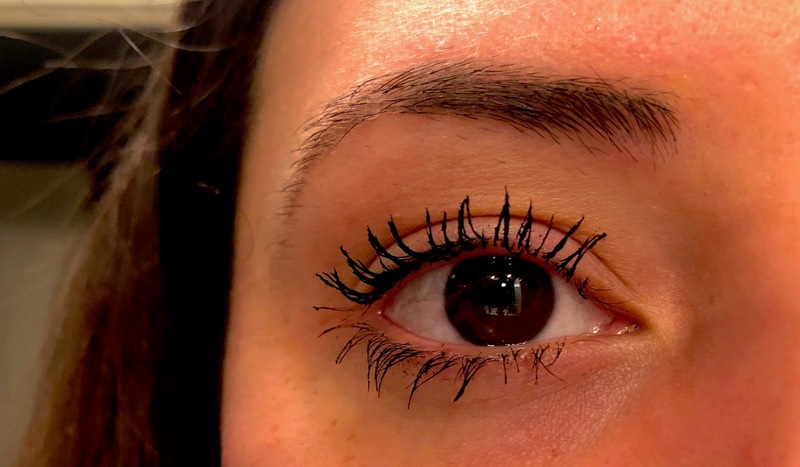 The longer, thicker, bolder lashes they promise are possible, though it takes a lot of time to keep combing them through with a different spoolie brush and adding more product, alternating between them (basically just use another brush!). The formula on the other hand is actually pretty damn good. The 'aero-particles' within the formula make it really light meaning that even though the lashes are all clumped, they aren't at all heavy! The wand itself is rubber and not as 'complex' I would say as their previous bestsellers, with a comparatively thin wand brush, short bristles with no additional bristles on the end, it's rather plain and simple. The thin wand does actually allow for easy access to the bottom lashes and can reach the roots a lot easier. The packaging otherwise is really cool, with studs all over the handle and the typical Benefit design we all know and love. Part of my 36 hour test to see if their biggest claim rings true, I slept in the mascara and then showered in it in the morning. 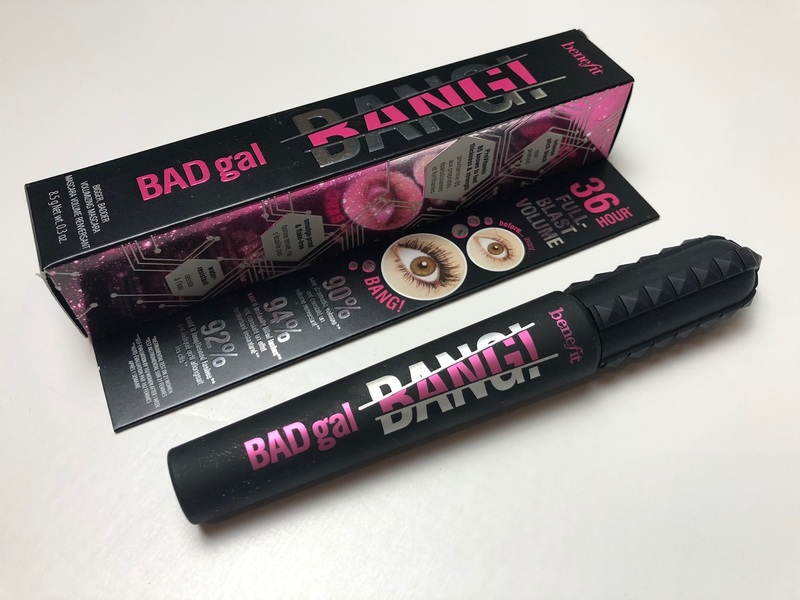 This was another disappointing result, as in the morning I had loads of flaky fall-out and following my shower, I had horrific panda eyes with the mascara streaming down my face - this doesn't happen with their other mascaras! All the Benefit products I've tried and tested over the years have never let me down, so in a bid to like this release too, I'm going to keep using it and hope that this first use was just a fluke. I will put it to the 36 day test and see if I start seeing any of the results they've promised - so stay tuned for a full review in a month's time! Have you tried this mascara yet? Did you have a different experience? After continued use, I've actually grown quite fond of this mascara. At first, the formula was too thick, clumpy and spread too easily on the lashes, making them look like spiders legs. The more I used the product, the thinner the consistency became and it applied much nicer to my lashes, lengthening them and thickening them to give that much desired false lash effect. It lasts overnight and yes, I still get that flaky fall out in the morning, and my lashes clump up meaning I can't really get away with not touching them the next day - I definitely need to wash it off and start again. But other than that, and the few weeks it took to become usable - it's a pretty good mascara! 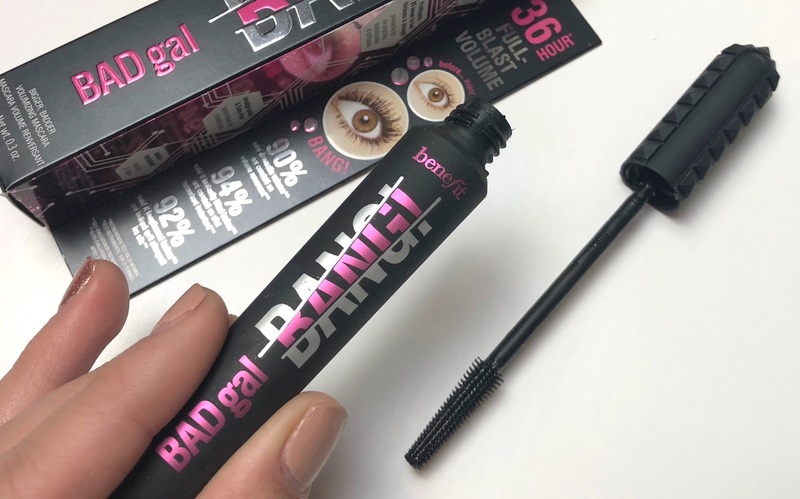 This mascara is all over the internet now, I've tried Benefit mascaras before and I didn't like it, I'm sure that I won't try this one too - I'm not a fan of spider legs instead of nice eyelashes.